Beans are cheap, tasty, healthy, and store beautifully. Indeed, you can use dried beans for up to a year or more, so it's worth your time—and will help your budget—to learn how to store them properly. Not only are dried beans far cheaper than canned beans, but you can also save even more by buying them from the bulk bins at your market. 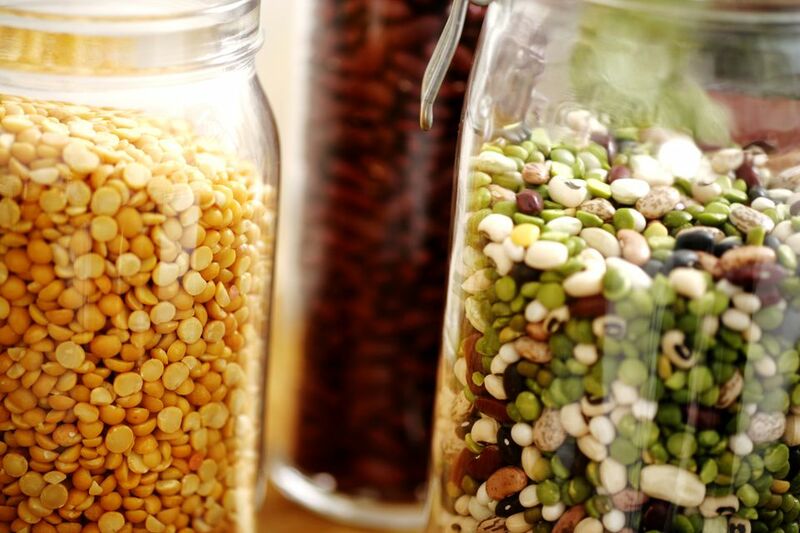 Follow these tips to store dried beans in your pantry or stockpile successfully. The process is easy and takes just five minutes. Follow these simple steps to store your dried beans properly. Transfer your dried beans to a food-safe storage container with a tight sealing lid. This is done because if you leave them in the bag they came in they will dry out faster. Remove any broken beans or rocks that you notice. Place the container in a cool, dry place away from sunlight. For best results, use your beans within a year. They'll still be safe to eat after a year, but they dry out over time and could take longer to soak and cook. If your beans are more than a year old, don't be too quick to toss them. Some studies have found dried beans can be stored for up to 30 years. Many recipes call for beans. For example, there are dozens of recipes specifically for cooking dried beans in a slow cooker, and with the popularity of instant pot recipes, you can often find those that start with dried beans, often not requiring soaking. You can use them to add more meatless meals to your dinner rotation, and save big. If a recipe calls for canned beans, you can substitute dried beans that you first cook. Dry bean math is pretty simple to learn if you just follow a few basic rules. A heaping half-cup of dried beans is the equivalent of one 15-ounce can of store-bought beans, and 1 pound of dried beans will yield about 6 cups of cooked beans (or four cans of beans). If you've never cooked dried beans before, it's just about as easy to cook dried beans as to store them. You will soak them for a few hours or overnight, then bring them to a boil and simmer them until they are tender (30 minutes to two hours, depending on the bean and how fresh it is. If you're in a hurry, there's a quick soak trick that you can use to speed up the cooking process. If your beans have been sitting in the pantry for a while, the US Dry Bean Council recommends adding 1/4 teaspoon of baking soda to the pot for every pound of beans when you cook them. This will help to soften them up. For convenience, cook dried beans in big batches, divide them up between pint-sized freezer jars, and store them in the freezer. Whenever you need a can of beans, pull out one of your jars and thaw it in the microwave or in the refrigerator overnight.